Our fantastic butchery is run by former Young Butcher of the Year George Taylor. With more than ten different varieties of sausages and burgers created every week, George ensures the butchery department always has something new to tempt the tastebuds. 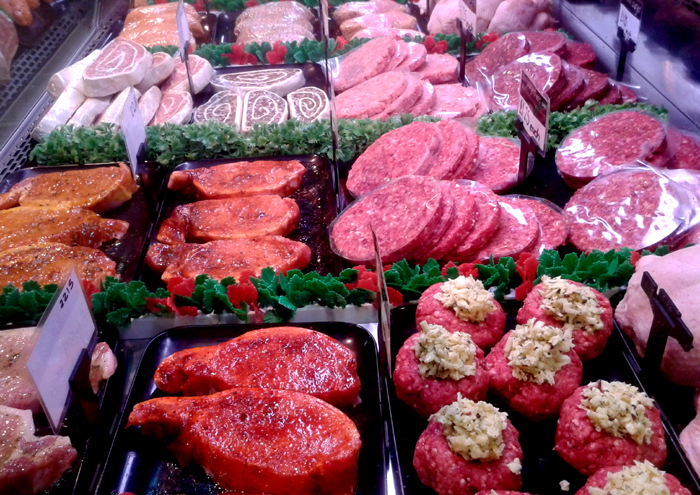 All the meat products, including chops, joints and mince are butchered in store and can be adapted to your requirements. Our butchers also cure their own bacon. And while you’re here why not try some of our award winners: the thin pork sausage which won Reserve Supreme Champion at the Craft Bakers and Butchers Extravaganza; the thick pork sausage won second place and gourmet lamb and mint burger and traditional beef burger were highly commended in Britain’s Best Burger Competition. Our black pudding made on the premises has also been highly commended. We also do a range of Fresh2Cook ready meals for you to cook at home in the oven. If you can’t see what you’d like please ask at the butchery department and they will be happy to help.